Hay Bro Sis...There is good news for the biker who has an adventurous spirit. 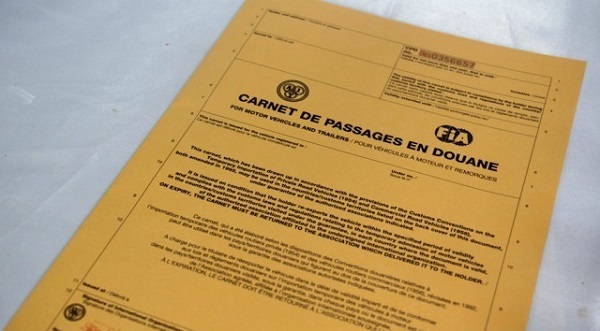 Currently the Association of Motor Indonesia (IMI) has officially published the Carnet de Passages en Douane (CPD) - Carnet or passport for motorcycles. "CPD Carnet that aims to ease the biker who will go abroad with a motorcycle, the document was officially out through the President's decision," open Nanan Soekarna, Chairman of the Central Board (PP) Association of Motor Indonesia (IMI). If you are interested, IMI fix the price of 25 Euro or equivalent to Rp 409 thousand (estimate of 1 Euro = US $ 16 thousand). "The cost to go to the FIA ​​(Federation Internationale de I'Automobile), whereas for administrative costs Rp 1 million. That's all for the country. But the difference that there will be provision expense in each country, as not all countries equally, "said Nanan. There are rules CPD publishing - Carnet, added Nanan, that the applicant may not sell his motorcycle while abroad. This was done by filling out a form agreement. "The IMI will ensure if the motor it will come back again or not sold while abroad. Of course if the applicant violated, we will demand the applicant to legal action, "he said. In addition, the applicant must also pay 25 percent of the price of the motor as a security deposit and an administration fee of $ 1 million. "It was stated in the invoice, but the policy chairman PP IMI, could be a way not to pay bail so long as making the agreement between PP IMI by the applicant that for overseas motorcycle not be sold until the applicant returned to the country," said Patricia Angel Adriance, Secretary for Social Tourism & PP IMI. But the letter of the agreement, continued Patricia, not always approved by the chairman of IMI, if not approved, the applicant should save money as much as 25 percent of the price of the motor, then the security deposit will be returned when the applicant arrived at the country as well as restore the CPD-Carnet. Prosudernya, the applicant must be a member of the IMI beforehand. Fill out a request form in full and purchased CPD Carnet document form, show your passport, driver's license, KTA original IMI legitimate and valid. Then showed the vehicles that will use the facility CPD, and submit photos of vehicles, no engine, no frame and license plate number of each 8 x13 cm. After that, submit a physical examination and approval of forms dukomen CPD Carnet and the CPD Carnet bail which will be refunded if the vehicle has been returned in the original. CPD Carnet is valid in several countries in Africa , America , Asia , Europe and Australia . CPD Carnet African continent is applicable in Bophuthatswana , Botswana , Ciskei , Egypt , Kenya , Lesotho , Libya , Malawi , Namibia , South Africa , Sudan , Swaziland and Zimbwabwe . While in the United States applicable in the country of Argentina , Canada , Chile , Columbia , Costa Rica , Ecuador , Paraguay , Peru , Trinidad & Tobago , Uruguay and Venezuela . In Asia , Bangladesh , India , Indonesia , Iran , Iraq , Japan , Jordan , Kuwait , Lebanon , Malaysia , Oman , Pakistan , Qatar , Singapore , Sri Lanka, Syria and the United Arab Emirates . While in Europe applicable in Belgium , Denmark , Finland , Greece , Italy and Turkey . In the Australian Continent in New Zeland and Australia .